Malik McDowell (94), defensive tackle, warms up on the first day of rookie minicamp for the Seahawks in May. 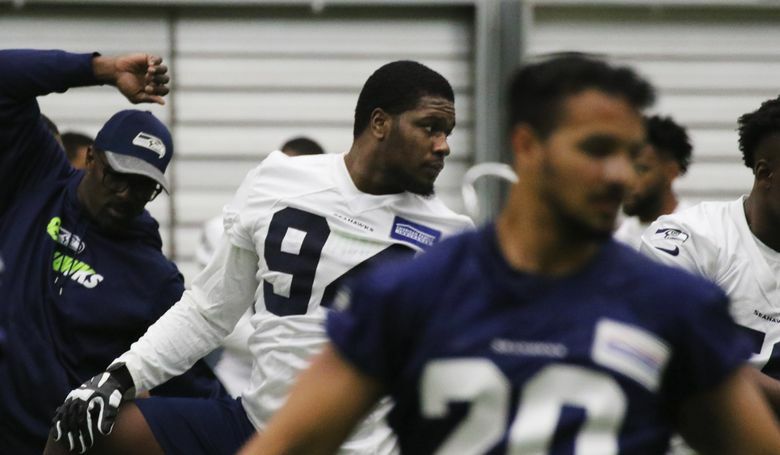 Seahawks rookie Malik McDowell on Monday apologized for his involvement in an incident that led a disorderly conduct arrest over the weekend. 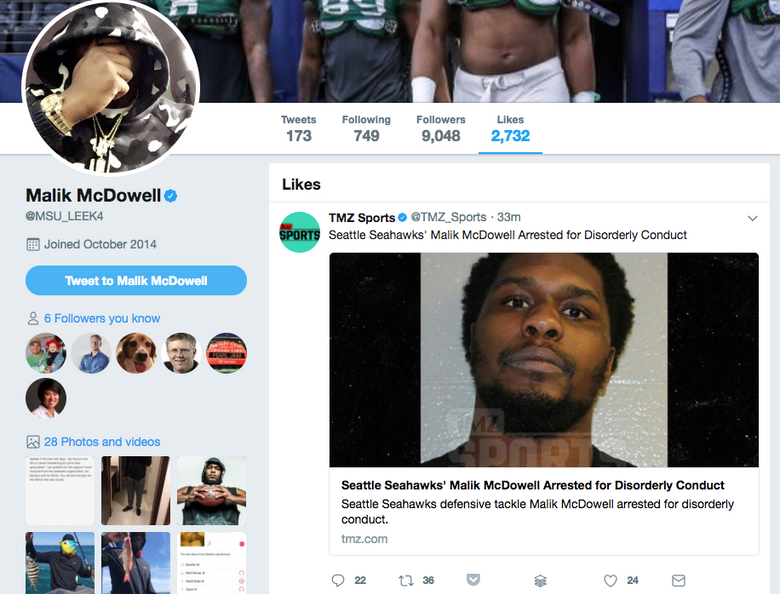 Seattle Seahawks rookie Malik McDowell on Monday released an apology via social media for an incident that led to an arrest early Sunday morning for disorderly conduct. McDowell was arrested after being thrown out the CL Lounge in a dispute over payment for a $600 he believed the club owed him and was thrown out after he poured out a couple of bottles of liquor. He was booked for disorderly conducted and released on $325 bond. Seattle coach Pete Carroll said Monday afternoon that he had met with McDowell, as had general manager John Schneider. The arrest continued a tough rookie year for McDowell, who is on the Seahawks’ Non-Football Injury list and has been declared out for the season after suffering what the team has termed “a really bad concussion” suffered in an ATV accident in July. Screenshot via @MSU_LEEK4 on Twitter. Carroll had expressed optimism at midseason that McDowell might have a chance to return this season. But Carroll said in late November that McDowell no longer had a chance to return this season. The Seahawks chose McDowell with the 35th overall pick in the draft last April hoping that the former Michigan State standout could add depth, if not an immediate impact, on the defensive line. But McDowell has not participated in any official team activities since the ATV accident. He did some working out with trainers and has attended some practices. McDowell signed a four-year contract worth $6.9 million that included $3.1 million guaranteed.